Snarford St Lawrence is a redundant church which once served a small village near Lincoln. The village gone now, indeed, there is only a farm nearby, but Snarford church holds treasures in the form of family tombs of the local lords of the manor, the St Paul family. 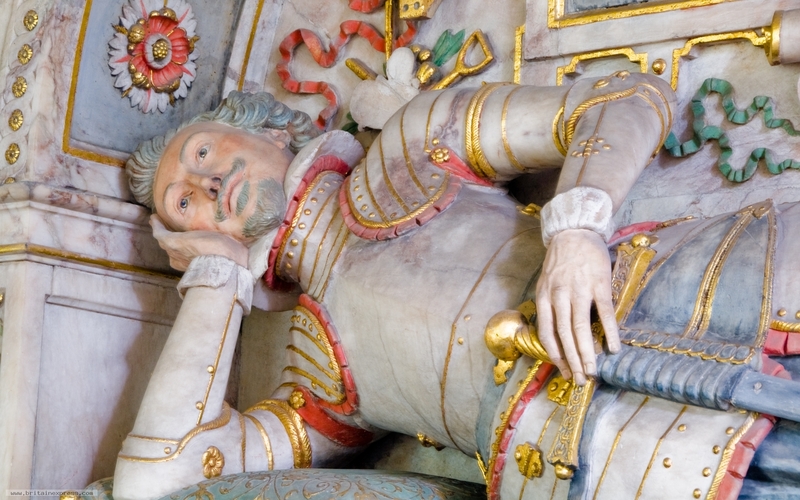 This wonderful effigy of Sir George St Paul is one of the several exquisite tombs on view in the church. The thing I recall most about taking this photo is that I was in a tearing hurry as I'd promised my wife I'd be back at our rented cottage in Lincoln at a set time, but I had taken so long photographing that I was very, very late!